The B-2 Spirit was first unveiled to the public on November 22nd, 1988. Three decades later, it still captures imaginations and rightfully so. Its striking low-observable flying wing design looks as otherworldly now as it did in the late 1980s and it still contains many secrets even after all these years. Considering how similar the upcoming B-21 Raider design appears to be to its forebearer, it's amazing just how much Northrop got right when designing the world's first stealth bomber in an era when the cellular phone was still in its infancy. Now, the plane's maker, Northrop Grumman, has released a number of short but intimate videos to celebrate their stealth bomber legacy as they look forward to bringing its successor to life. The video series, titled Crafting History, is extremely well produced and offers unique insights into the Advanced Technology Bomber (ATB) program from those who made the B-2 possible. Best of all, each episode's short run-times is absolutely packed with new footage and images of the B-2 dating back to its genesis. So on this, the spookiest day of the year, celebrate America's scariest flying machine—one that's literally named after a ghost—by watching the six installments below. It's hard to imagine a USAF without a B-2 in its inventory, but that will be the reality by the early 2030s according to the flying force's new bomber roadmap. If the B-21's development continues along smoothly, the type will enter service in the middle of the next decade and it will replace the B-2s first before also displacing the B-1B fleet. Although the B-2's very tentative out of service date is still nearly a decade and a half away, the aircraft will still be so sensitive in nature that finding a place for them to rest, or even how to destroy them outright, remains an unsolved problem. The stealthy F-117 Nighthawk fleet that came before the B-2 still suffers from a similar issue today, even after it was officially retired a decade ago, albeit a handful of the jets are still flying today. Even with all the program's challenges and high cost, the B-2s have proven to be America's top silver bullet weapon and a national treasure. With just 20 Spirits in existence, the USAF's ability to make repeated, long-range, high-volume attacks on even the most defended and fortified targets will increase drastically once the far more numerous and capable B-21 Raider fleet becomes a reality. In some ways, the B-2 can be looked at as an operational prototype of sorts, with the B-21 offering Northrop Grumman the opportunity to make the stealth flying-wing bomber concept all that it can be by leveraging modern materials science, existing high-tech components, and most of all, three decades of operational experience with the B-2. With this in mind, the B-21 is unlikely to disappoint, at least in terms of combat capability. With that in mind, the B-21 would not be possible without the dedication of all the people that played a hand in its forbearer's genesis and helped give birth to the stealth bomber era. Author's note: In all the footage and images presented in the videos, two moments stand out to me as highly interesting. First is this one showing the B-2 taxiing. The long structure atop the jet's center 'hump' is puzzling. It looks way too long and seems to be the wrong shape to be the aircraft's refueling receptacle. Second is this image of the mockup of a cockpit. The panel layout is vaguely similar to the one that made it into the B-2 but the B-2 has a two-crew side-by-side cockpit. Was this for a technology demonstrator that predated the actual B-2 itself? Maybe the single station was going to be mirrored for the actual aircraft but there are other oddities. For instance, the panel is smaller, lacking the two lower side-by-side cathode ray multi-function displays. It also has a 'canopy severance' handle. The B-2 doesn't have a canopy but it does have hatches that its ejection seats fire through. A central windscreen support structure also seems to indicate that this is a single seat cockpit concept, or at least a tandem one. What else interesting do you see in these new videos? Let us know in the comments below. There's no doubt that the newest crop of police cruisers are far more efficient than the hulking Crown Victoria, but there's a certain je ne sais quoi about the old girl. The car's three-decade reign on American roads left its perfect three-box form (not to mention those instantly recognizable headlights) embedded in our national consciousness. 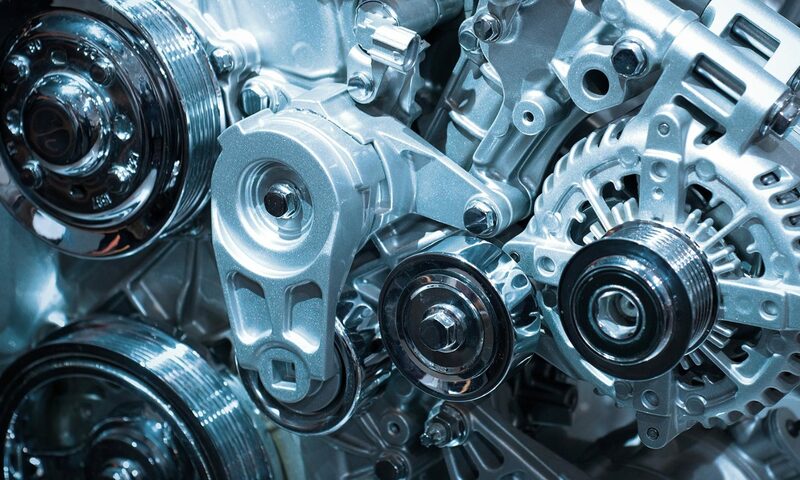 It's still a visual shorthand for authority, and its dead-simple powertrain was one of the last bastions of simple serviceability in the automotive world. On Tuesday, 25-year-old car audio system technician Dustin Hamilton of Central Saanich, Vancouver Island was sentenced to two years of probation, 15 hours of community service, and is banned from driving a specific stretch of road as punishment for a disruptive stereo in his Chrysler PT Cruiser. Hamilton built the stereo in his PT Cruiser to enter sound system competitions that measure volume and clarity, according to CBC. Last year, Hamilton was banned from using the sound system in the town of his residence, making his Tuesday sentencing his second major run-in with the court system regarding his car. His sentence included a conditional discharge, which allows the charges to stay off of his record. Hamilton's initial charge of "mischief" was the result of complaints by almost 20 of Hamilton's neighbors, whom he antagonized with his loud music. His lawyer attributed prescription steroids for Hamilton's behavior at the time, though the prescription has reportedly been changed to another treatment—evidently without effect on Hamilton's behavior. Complainants against Hamilton reportedly included a registered nurse whose sleep was regularly impacted, a man with PTSD, a farmer whose sick horse fled every time Hamilton's car passed, and multiple families who claimed their children or pets were disturbed. "Floors and windows were rattling when he'd go by and dishes would shake on the counter," added police Corporal Dan Cottingham. "Young kids were woken up in the middle of the night." Hamilton has been banned from driving a stretch of road within his community, and his community service must be completed by the end of January 2019. Additionally, the one-year ban on operating his stereo within the town has been extended by another two years—maybe for the best considering the apparent impact he has on his community. Russia, irked by the largest NATO-led exercise in decades occurring in and around Norway, has announced plans for its own drills, to include missile launches, in areas overlapping with where the Western alliance is training. NATO officials have downplayed the provocation, acknowledging the Kremlin’s right to use international waters, but have called on the Russians to “behave in a professional way” to avoid any incidents or accidents.